in the intellectual and moral world. So be mindful of your duty, and believe, and do good works; and again: be mindful of your duty, and believe; and once again: be mindful of your duty, and do good. God loveth those who do good. Beyond our occupation, each of us has a vocation, a calling toward sacred service. This calling may be understood as our life’s purpose, our personal contribution to the transformation of the world. 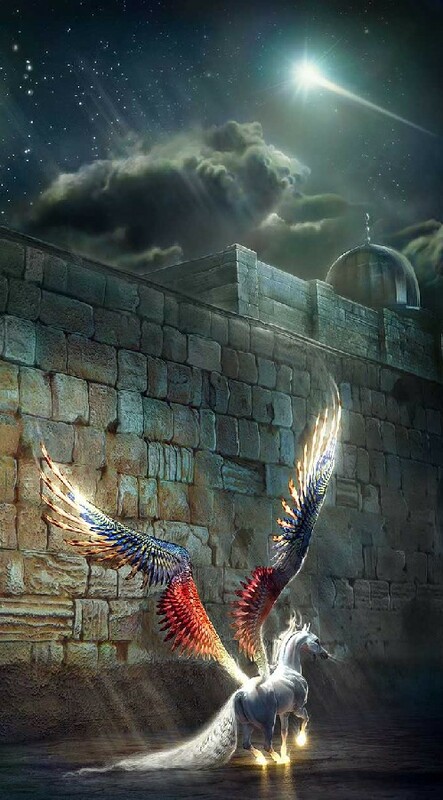 Spiritual chivalry is the cultivation of our capacity to answer the call. It is to swear oneself body, heart, and soul to the ideals of truth, justice, peace, and beauty - and thus sworn, to go forth into the battle of life. The heroes and heroines of the past are remembered for the exceptional ideals they personify, ideals that are essentially universal. In legend and history alike, heroism reveals itself in acts of pure love, compassion, self-sacrifice, discipline, loyalty, generosity and service to all. Drawing inspiration from heroes past and present, The Seven Pillars: House of Wisdom taking up the great task of our time, to revive these timeless virtues and foster their application to the challenges of our time under the banner of “peace with all.” Where does the modern heroic quest lead, what forces must today’s hero or heroine contend with, and what mode of enlightened action promises success? The Seven Pillars House of Wisdom website is hosting some wonderful articles of wisdom on the theme of Chivalry. 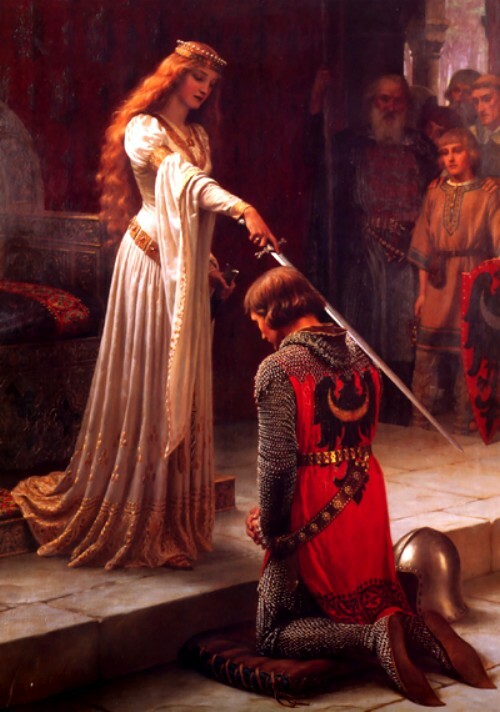 David Spangler in his article, The Chivalrous Path attempts to answer the question, "What is the chivalrous path, particularly as a spiritual practice?" Although Christianity and Islam both include dimensions of love and knowledge, Christianity may be understood to have a “diurnal” orientation, with its solar calendar and Spring festival of Easter, and a corresponding emphasis on love. Islam, with its lunar calendar, emphasizes knowledge. 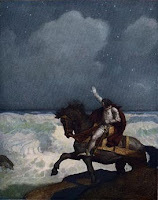 Despite this orientation, the historical Jesus was not a horseman, unlike the Prophet of Islam; and in Islam, even the nocturnal festival commemorating the Night Journey and Ascension has a marked knightly aspect, since the Prophet, who is called the Beloved of God, undertook his supernatural movement by means of a heavenly horse. For such reasons, to quote Titus Burkhardt, “knighthood as a spiritual path is organically inherent in Islam; it emerges from Christianity only indirectly.” Still, the models of knighthood mentioned in the Qur’an – the Companions of the Cave or Seven Sleepers, Joshua, and Abraham the “Father of Knights” – belonged both to Islam and Christianity. The 'Prophet was the best and the bravest amongst the people. Once the people of Medina got terrified at night, so they went in the direction of the noise (that terrified them). The Prophet met them (on his way back) after he had found out the truth. He was riding an unsaddled horse belonging to Abu Talha and a sword was hanging by his neck, and he was saying, "Don't be afraid! Don't be afraid!". 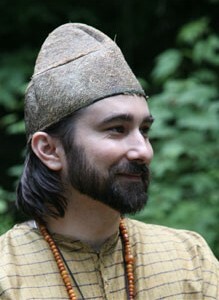 This evening lecture precedes a two-day Sufi retreat, The Path of the Heart, Saturday and Sunday, December 5 & 6, with Pir Zia.